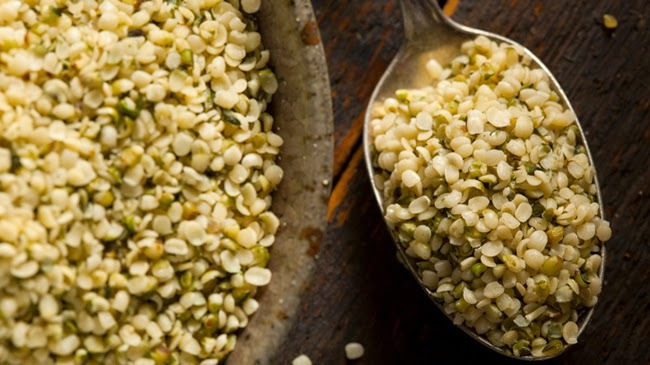 Hemp seed oil is being touted as the newest healthy oil because its balanced concentrations of omega fatty acids make it nature’s perfect food. Natural News says this amazing oil is consumed worldwide because it was one of the first cultivated and consumed crops. Despite its perception by most, hemp does not contain THC or the principal psychoactive constituent of the cannabis plant. Hemp seed oil, which is pressed from the seeds of the Cannabis sativa plant, contains 80% essential fatty acids, which is the highest in any plant on the planet. According to Natural News, this plant actually could provide all of our essential fatty acid necessities, which help to prevent heart disease, high blood pressure, high cholesterol, cancer, and more. Hemp oil has a plethora of medicinal, nutritional, and cosmetic uses turning this magic oil into a multipurpose ingredient. Mountain Rose Herbs says that besides being easy to digest in its raw state, it contains less than 10% saturated fats. Hemp seed oil can do wonders for your hair, skin, and even nails since they are all formed from dermal cells and hemp oil is nearly identical to our own lipids. This allows it to penetrate our cells easily and effectively lubricate them. Hemp oil will nourish dry skin, blotches, and lesions as well as detoxify the skin and even out blotchy skin tone. No worries of clogging pores either. According to Natural News, new research is showing the benefits of this oil on eczema with a reduction in dryness, itching, and overall improvement in the symptoms of patents while using hemp seed oil. It is no wonder that our hair needs to meet hemp oil. Hemp seed oil contains gamma-linoleic acid, which improves the condition of hair and contributes to keratin formation for stronger and healthier strands. Oilypedia says that the gamma-linoleic acid is a ceramide source, so it contributes to retaining protein and water in your hair structure. Hemp seed oil will condition your hair and scalp with the high content of vitamin E. This oil is a natural moisturizer that boosts scalp health and prevents irritation and dryness. Great for winter usage, because it combats the cold, damaging outdoor air. The lipids present in the oil increase hair’s elasticity, volume, and shine while softening the strands from the vitamin E and fatty acids. Softer, hydrated hair is stronger than dry, brittle hair, and this oil is shoring up the intercellular matrix, which protects our tresses from moisture loss. Mix oils in a 4 oz bottle. It is recommended that you store the oil in cool, dark place, as hemp seed oil can go rancid very quickly. You can use this mixture on your dry hair as a pre-poo, moisture sealer, and hair revitalizer. Hemp seed oil has a very nutty smell to it, so you can add a couple drops of essential oils to your mix to counter the nutty smell. Do you use hemp seed oil?